There’s nothing like having your entire country cheering you on as you cross the finish line. 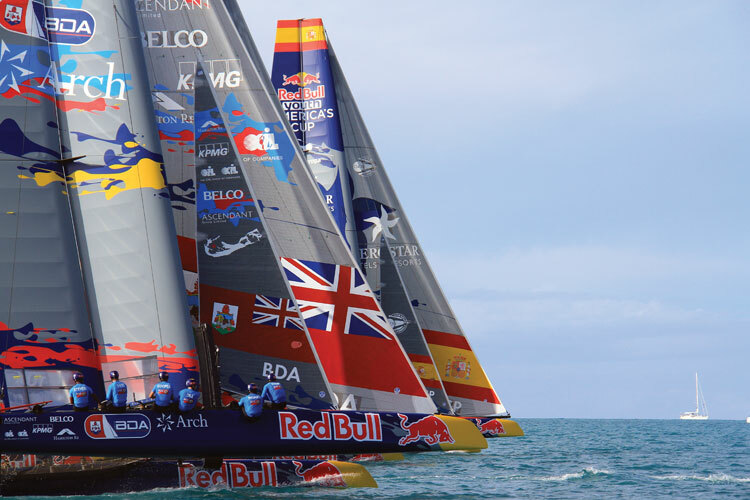 Such was the case last June as 65,000 Bermudians rooted for Team BDA in the Finals of the Red Bull Youth America’s Cup racing held in the Great Sound in conjunction with the Louis Vuitton America’s Cup festivities. Skippering the Bermuda boat was St. Mary’s College sailor and native Bermudian Mackenzie Cooper. 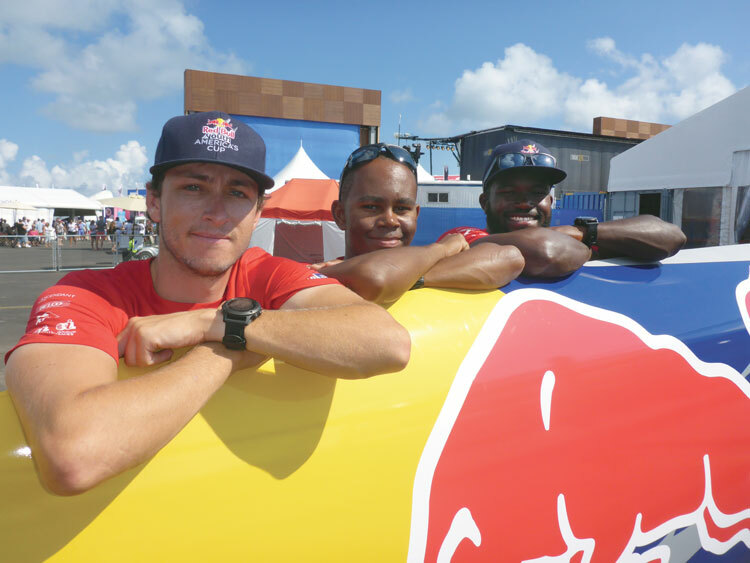 Cooper and his eclectic crew of sailors and local athletes were selected by a rigorous process that weighed sailing experience and athletic ability to find the right combination to represent the tiny country in the prestigious Red Bull competition. The Bermuda team bested four other national teams (including Next Generation USA) to qualify for the Finals. 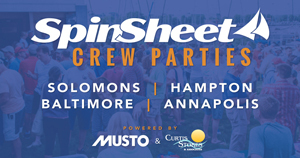 A series of four fleet races pitting the best eight youth teams from around the world vied for the championship. Team BDA won the first race in the Final and then faltered down the line to finish last. In point of fact, Team BDA only lacked one strong race from finishing in the top four. The Red Bull Youth America’s Cup series was conceived by Austrian Olympians Hans-Peter Steinacher and Roman Hagara. The Bermuda event was the event’s second iteration. The goal of the program is to serve as a training ground for future America’sCup sailors. More than a dozen of this year’s AC team members are Red Bull alumnae, including AC Champion New Zealand’s helmsman Peter Burling. The boats the sailors (aged 18-24) sailed were the same 45-foot foiling catamarans that the America’s Cup teams campaigned in the Louis Vuitton World Series events earlier this year. The cats are capable of speeds of up to 50 miles per hour. There are no hydraulics on these boats, so every foil change has to be accomplished by old-fashioned winch power. Mustafa Ingham is one of the athletes selected for the Bermuda team. A giant of a man, he stands at six feet, three inches tall and weighs over 220 pounds. A former rugby and soccer player, Ingham is a grinder on Team BDA. The Bermudian quit his job as a baggage handler at the airport to train with the team. Cooper enjoyed a respectable career at St. Mary’s prior to his Red Bull experience. He sailed 420s and FJs. He has been on the racing team for the past two years, helping the team garner a third at Nationals in 2016. Werblow continues, “It is our hope that the experience he has gained foiling can be passed along to the rest of the team as they enjoy the new foiling WAZSP the team purchased this summer for cross-training. Coach Conner Blouin has been one of the country’s top talents in the new class, and having Mackenzie’s experience will just make it all the more fun.